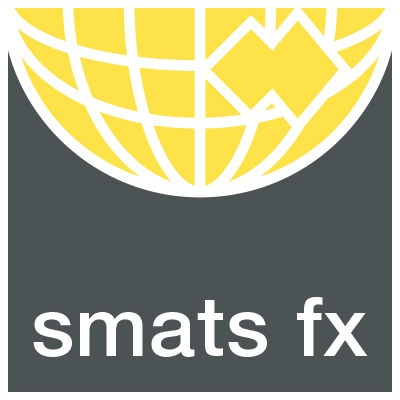 SMATS FX offers SMATS Group clients a cost effective solution for their foreign exchange requirements. The service is a joint venture between SMATS and Sable International and gives access to preferred exchange rates and significant savings, adding value to our clients international transfers. Register today and enjoy the benefits. Disclaimer: SMATS FX operated by Sable International may provide the client with information about the foreign exchange markets, but will not offer any advice on the merits of any transaction either with SMATS FX or others. When entering into any transaction, the client shall rely entirely on his/her own judgement. SMATS FX is operated by Sable International, which is the trading name of 1st Contact Money Limited (company number 07070528), registered in England and Wales. We are authorised and regulated by the Financial Conduct Authority in the UK (FCA no. 517570), the Financial Services Conduct Authority in South Africa (1st Contact Money [PTY] Ltd - FSP no. 41900) and hold an Australian Financial Services License issued by ASIC to deal in foreign exchange (1st Contact Group - AFS License number 335 126).